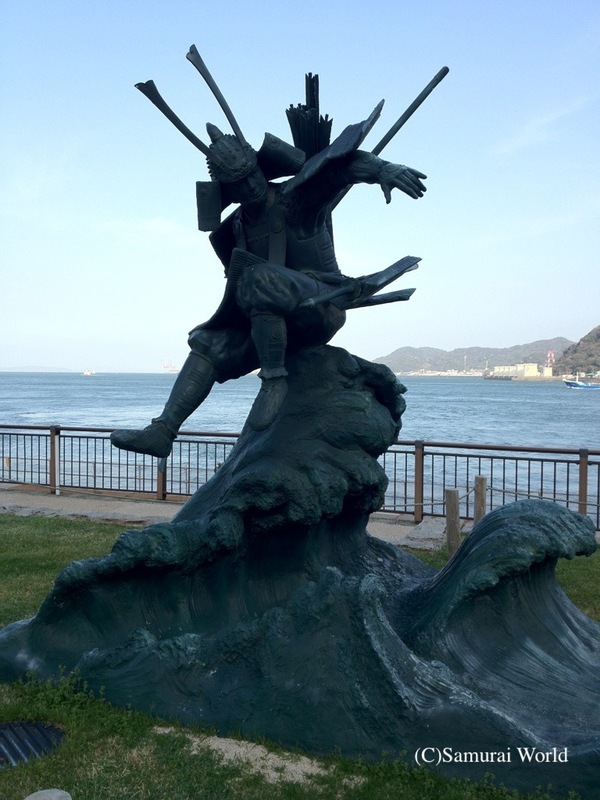 On April 25, 1185, Minamoto no Yoshitsune’s fleet defeated the naval forces of the Taira clan in The battle of Dan-no-ura, fought in the narrow waters separating the northern tip of Kyushu and the southern tip of Honshu, known as the Shimonoseki Straits. 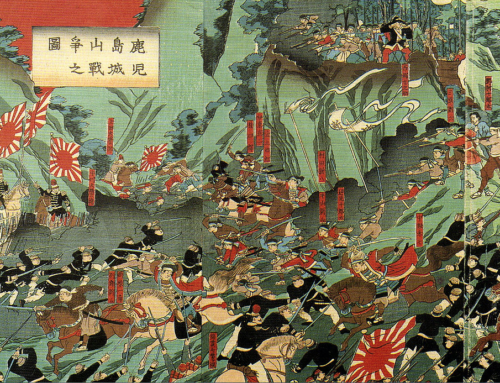 The battle was the climax to a series of bitter skirmishes between the two great clans that are known collectively as the Gempei War. 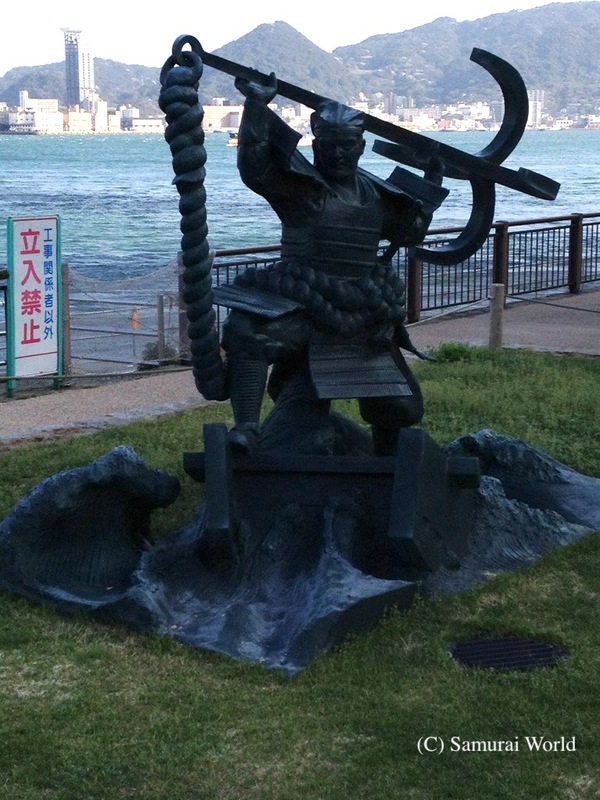 The Taira had been defeated weeks before at Ichi-no-Tani near Kobe, and had reformed at Yashima, off the island of Shikoku. 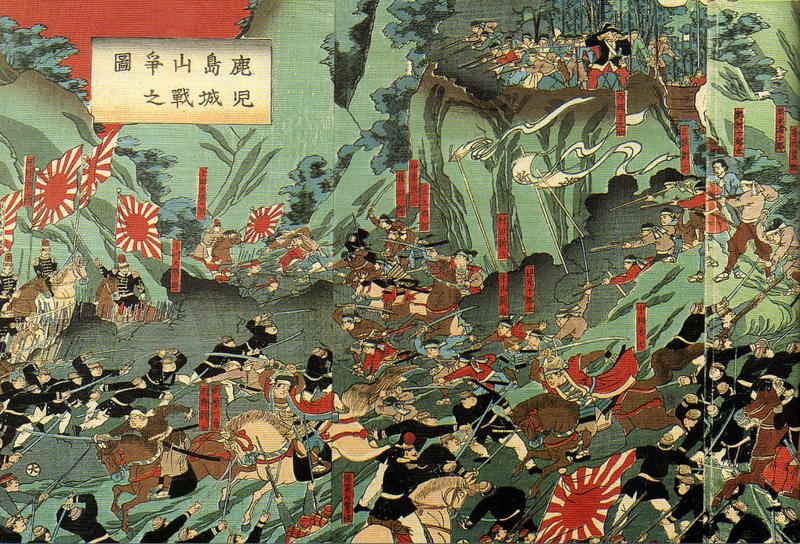 Minamoto Yoshitsune and a small number of warriors then attacked Yashima in a night raid, throwing the larger enemy into confusion. 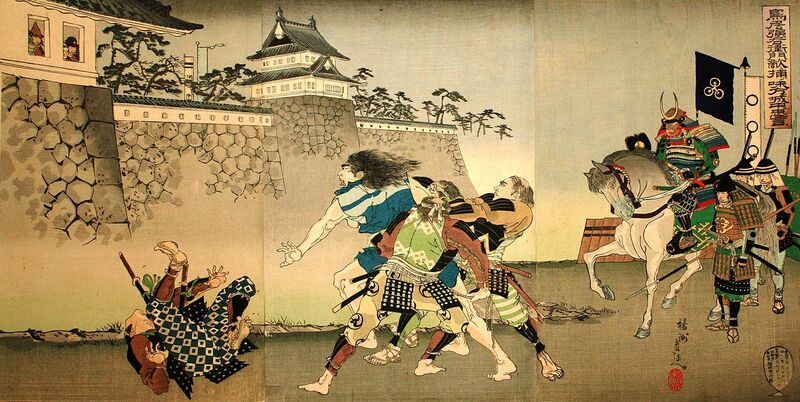 The Taira fled in their ships to the open sea. 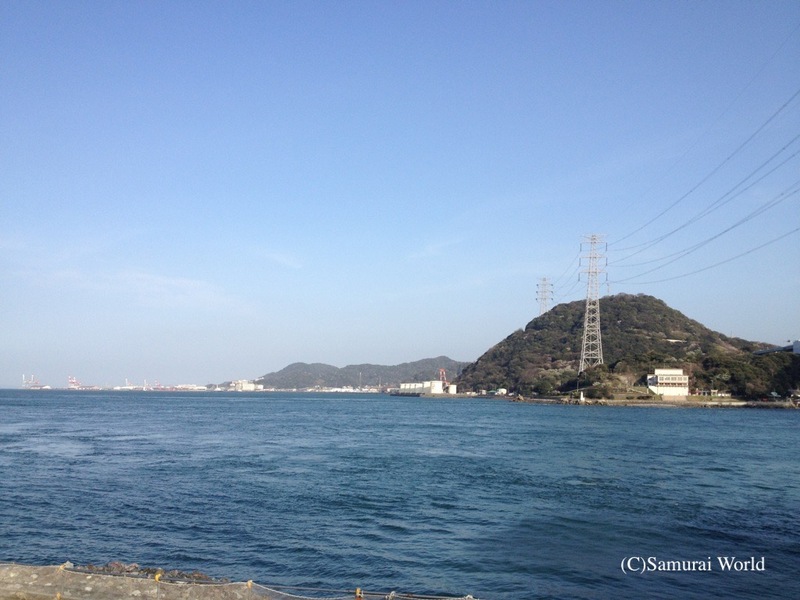 By late April, the Minamoto fleet had caught up with the Taira ships off the coast of Dan- no –Ura. 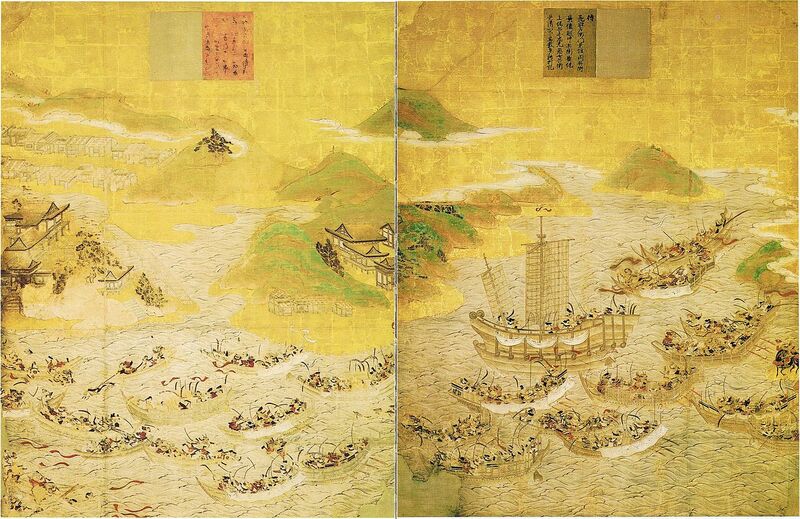 The Minamoto were numerically superior, having around 830 ships in their fleet, while the Taira clan had the better naval tactics and nautical prowess, had an estimated 500 vessels. 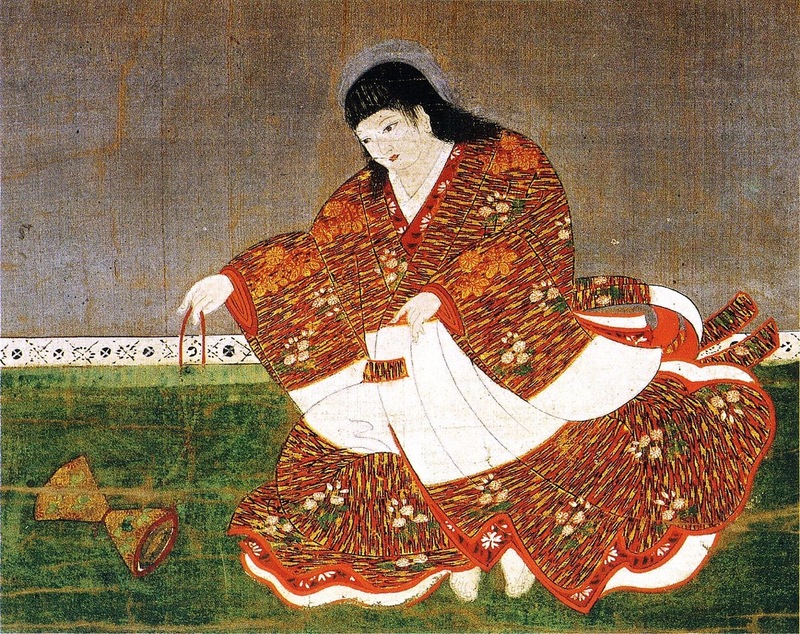 The Minamoto also had the six-year-old Emperor, Antoku with them. The half-day battle began with long-range arrow fire as the ships approached head on, then as the two fleets came side-by-side, fierce hand to hand fighting broke out as the ships were boarded. 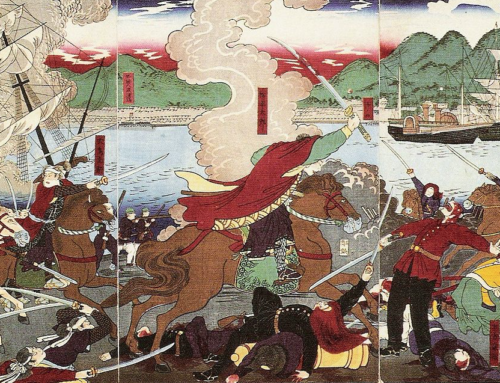 The major turning point came with the defection of the Taira General, Taguchi Shigeyoshi, who pointed out the ship on which the Emperor Antoku was aboard. The Minamoto clan then turned their attentions to that ship. 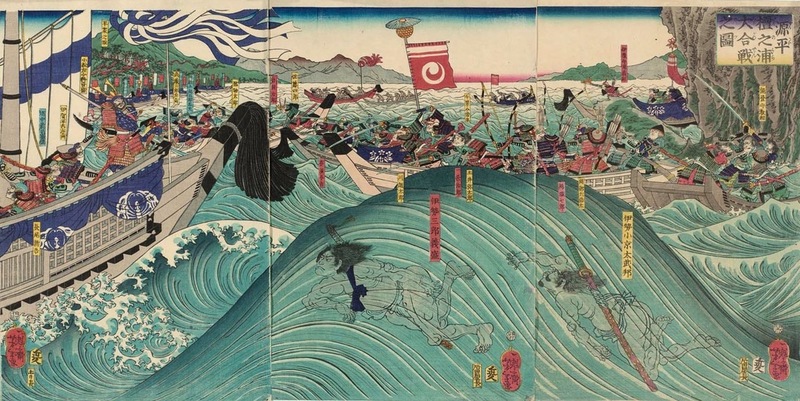 With the tide of the battle changing, many of the Taira commanders and followers threw themselves into the sea, rather than die at the hands of their enemy, the Minamoto. 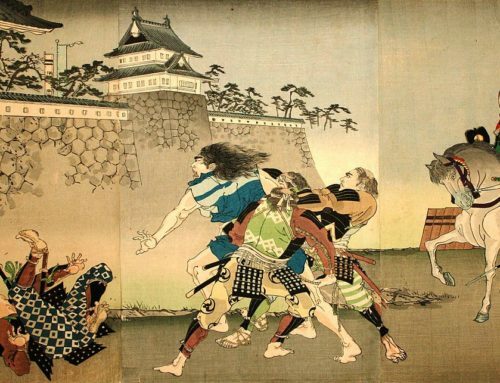 This decisive victory for the Minamoto forces led to the destruction of the Taira clan, the establishment of the Kamakura Shogunate, with Minamoto no Yoritomo invested as the first of the Kamakura Shogun, and Minamoto control of Japan. 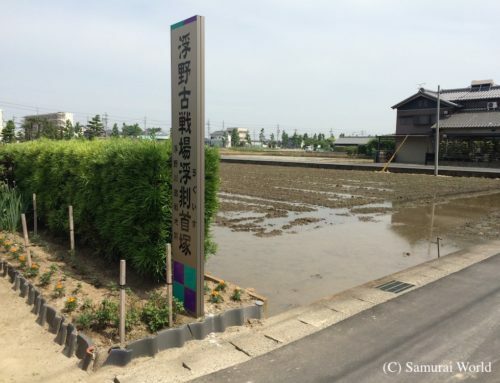 The native Heikegani crabs that inhabit these waters are believed to be reincarnations of the Taira (aka Heike) warriors who perished at Dan-no-Ura, as their shells bear a pattern that resembles a human face.